The Academy Museum of Motion Pictures is moving forward with the installation of short and long-term exhibitions that chronicle the importance and history of cinema. Museum director Kerry Brougher announced the details of the inaugural exhibitions that will be on view when the Museum opens in Los Angeles sometime in late 2019. The Academy Museum will open with a long-term exhibition that explores the evolution of film from its beginnings to its possible futures, which currently has the working title Where Dreams Are Made: A Journey Inside the Movies. The exhibit will occupy two floors of the Museum’s iconic Saban Building as it looks at the development of the art and science of motion pictures. “We want the Academy Museum to add to the public’s understanding of the evolution of the art and science of filmmaking around the world—to increase appreciation for this great art form and encourage people to examine the role of movies in society. At the same time, we want to bring to life the most important reason of all for caring about the movies—because they’re magic. 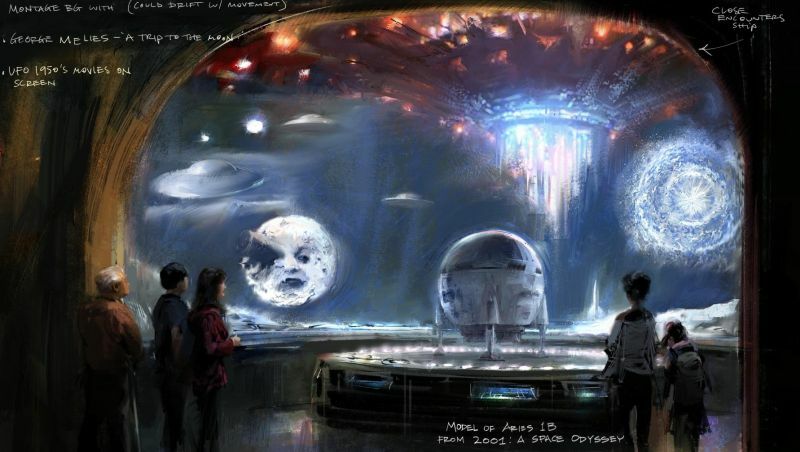 Like the experience of watching a movie, a trip to the Museum will be a kind of waking dream in which visitors feel as if they’ve slipped through the screen to see how the magic is created,” Brougher said. In addition to the long-term installments, there were also be some temporary exhibitions, including one dedicated to the work of Hayao Miyazaki presented in collaboration with the filmmaker’s Studio Ghibli, which would be the first major exhibition of his work presented in the United States. This will be followed by Regeneration: Black Cinema 1900–1970 in the fall of 2020, revealing the importance of African-American filmmakers in the development of American cinema. Additional exhibitions will include Making of: The Wizard of Oz, a history of the Academy Awards, an Oscars experience, and more. The post Academy Museum Announces History of Movie-Making Exhibition appeared first on ComingSoon.net.